Fine sand recycling machine is a new type of environmentally friendly equipment. It has been widely used in the processing of glass raw materials, sand and gravel, and the recovery of artificial sand and tailings. Fines sand recycling machines play a very important role in effectively recycle and reuse of fine materials in these production lines, which largely avoide the demage of these production on surrounding environment. At present, natural sand is not sufficient to meet the market demand, so most of supply in the market comes from artificial sand. And artificial sand produced by wet processing accounts for a large part. In the wet sand production line, wheel sand washing machine sand or spiral sand washing machine is used to clean and classify sand. But there is a big shortcoming in this process, that is, the most of fine granules(about less than 1mm) will flow with water. This severely affect the quality of sand and reduce the production. The large amount of lost sand will cause great losses to the enterprise. And if it is not treated, it will have a great impact on the surrounding natural ecological environment. 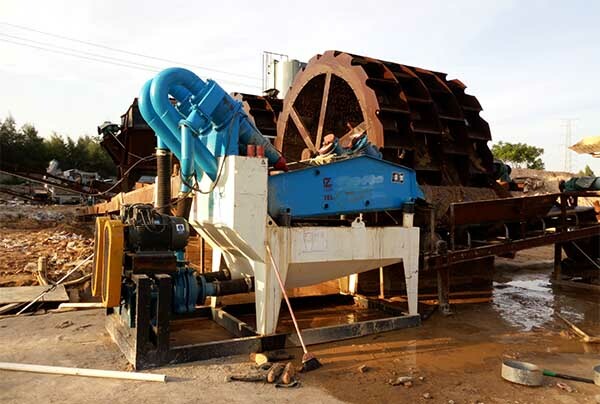 The fine sand recovery machine uses a series of parts such as slurry pump, cyclone, vibrating screen to separate the mud, stone powder, water and fine sand in the muddy water and collect the fine sand and improve the production. 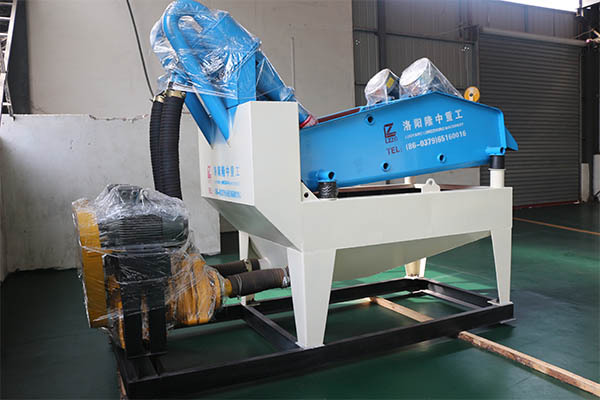 The fine sand recovery machine can effectively reduce the loss rate of fine sand, and increase the output while controlling the fineness of sand and the content of stone powder. So that the sand produced is more high quality, and more than 90% of the total amount of fine sand is recovered. Improve the economic benefits of sand factory enterprises. There is also a reduction in the workload of sedimentation tank and the cleaning costs.